Spring comes early for Bay Area dance lovers with March engagements by daring, evocative and critically acclaimed local and touring troupes. Alvin Ailey American Dance Theater settles in for its yearly engagement March 13 through 18 at Cal Performances’ Zellerbach Hall on the campus of the University of California at Berkeley. The company, now helmed by artistic director Robert Battle, presents a Bay Area premiere, as well as a raft of familiar pieces in three mixed programs over six days. Home is a 2011 creation by hip-hop choreographer Rennie Harris set to house music. Minus 16 by Ohad Naharin includes a broad range of musical selections, from swing to techno and even traditional Middle Eastern sounds. It also invites audience members to join the performers onstage. The troupe will dance Choreographer Paul Taylor’s classically-inspired Arden Court in the Bay Area for the first time. Artistic Director Battle presents two of his own creations The Hunt and Takademe. Each of the three programs closes with the gospel-inspired crowd pleaser Revelations. 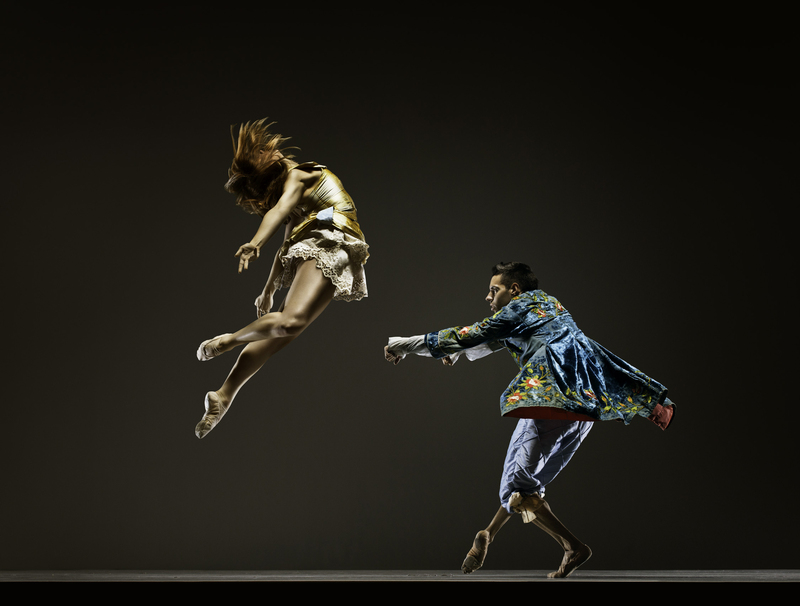 Ever-vibrant ODC/Dance’s presents its 41st home season at the Yerba Buena Center for the Arts in San Francisco. The company performs three world premieres by Artistic Director Brenda Way and Co-Artistic Director KT Nelson, along with repertory favorites. Way’s Breathing Underwater includes live music by iTunes chart-topping cellist Zoe Keating. Bay Area bike artist Max Chen unveils his three “rideable artworks” in Nelson’s new piece, Transit. Raking Light, I look vacantly at the Pacific…though regret, and Part of a Longer Story will also be performed. ODC’s commitment to community inspires such events as a Meet the Dancers Party, and Get Smart talks with choreographers. Robert Moses’ Kin has attracted attention nationwide for its fiercely original work. Dubbed by the Huffington Post “a visually delicious beast that never comes short of dazzling the senses,” it takes up residence at the Yerba Buena Center March 30 to April 1 with programs choreographed exclusively by Moses himself. Helen, a world premiere inspired by the work of Carl Hancock Rux and excerpts from the work-in-progress Scrubbing the Dog are to be presented alongside award-winning works The Soft Sweet Smell of Firm Warm Things and Speaking Ill of the Dead. Biography, inspired by the life of James Baldwin, rounds out the selections.